It was posted on November 14, 2009 at 11:59. There's 28 Comments and it's in BP. 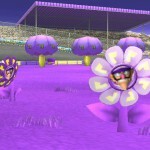 I think I’m going to have nightmares in purple now. 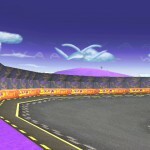 You should’ve made the track look like dirt though (sort of like Waluigi Stadium). Expecting a sane texture hack? TOO BAD. 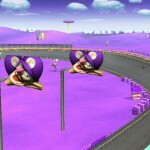 WALUIGI TIME. waaaAAAAA waaaAAAAA waaaAAAAAAt the hell? 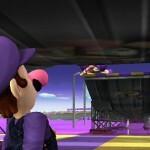 WHAT HAVE YOU DONT TO WALUIGI?! 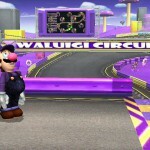 Waluigi: Expecting Mario Circuit? TOO BAD!! 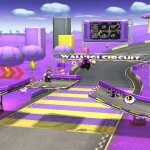 It’s Waluigi Circuit time!!! 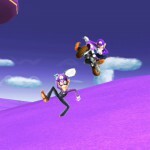 Couldn’t resist after seeing Waluigi’s Brawl in the Family comics. HE’S HUNTING ME IN MY WARDROBE. I think it’s time to say goodbye to Prince A-boo-boo. 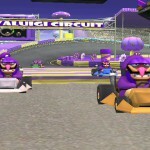 WALUIGI IS BACK. NOW THE TEXTURES ARE GOOD AGAIN. I’m uploading everything I’ve made that isn’t already up (like I said I would a week ago). Then I’ll update the hacks page. Kept ya waiting, huh? I am making this stage rickroll you. IMMA LUIGI. NUMBER A BILLION. I HAVE SEEN HELL, AND IT IS PURPLE.